What do you think of the Hunger Games movies? 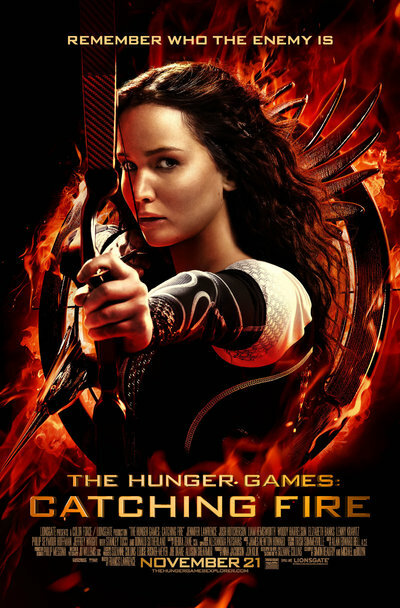 The Hunger games started out as a young adult book trilogy by Suzanne Collins but were soon picked up by Hollywood. The movie adaptions star Jennifer Lawrence, Josh Hutcherson, Woody Harrelson and Donald Sutherland. So far the first two installations – The Hunger Games and Catching Fire - have been released, with the final book being split into two movies. Part one of the final book, Mockingjay, is due to hit theatres in November and the Mockingjay hype machine has just begun rolling with faux Capital fashion ads and now some Capital government propos. Have you been following The Hunger Games movies? Are you loving them? Are they staying true to the books in your view? I planned on seeing the first film, but never got around to it; I therefore didn't see much point in going to the other two, so haven't watched any of them. I've enjoyed them, and found them to fill in some of the visual gaps from the book. The acting is pretty good and the themes are dealt with, without being over dramatic or gruesome. I'm preferring it over Twilight and Divergent. I've enjoyed all movies so far without comparing to the books too much (I've read all three). I'm looking forward to Mockingjay. What’s a good movie for someone who just doesn’t like movies? Will you go see Rogue One: A Star Wars Story in Theatres? Joss Whedon no longer directing Avengers? Earth to Echo, is this cute or what? Michael Bay’s take on the Transformers, good or bad? What do you think about Netflix making movies, will they be worth watching? Would you be interested in a Supergirl TV show?